Visiting “Goa” was a dream come true, I wonder today was it because of people you ventured this place or it is in the air of Goa!! 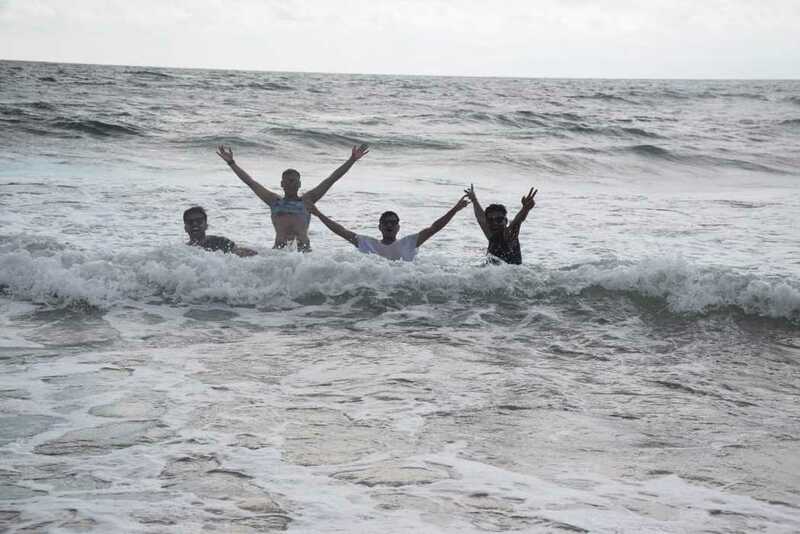 It would be good to give credit to both the parties, as it is well-said goa is not a place to go alone, it is the place where you should have your besties around !! Best time to visit Goa: October last week till Feb. Off-beat time to Visit Goa: April-October. Frequent Travellers are those breed of human who has their backpack always ready and are very good at managing their day-to-day life-threatening work and their money to make their wish to conquer their next destination. And when you have to travel the world in such a small life that you have got by chance, you, of course, have to manage your pocket. We had experience downloaded from one of our friend who already has visited Goa, he recommended: “Vinayaka Home” located near Candolim Beach, around 40 KM from the airport, yes it looks far from the airport but it becomes useful when you go and stay at such quite place. There is a bus that will make you land near this venue, ( reach me out in case you need the exact address, this man is generous and a complimentary guide). you should not be surprised that at the age of 28, and after travelling to 10 countries and 12 states of India, we visited Goa for the first time. Although I was surprised when I visited and one thing which came in my mind as I reached Candolim Beach ( first time ever visiting any Beach in India). If it looks ordinary to you then it is your view, but for me, it was WoW. it was way beautiful than beaches of Netherlands, Bali. This place is around 8 KM from Vinayaka’s, do not forget to rent a bike in Goa, with Helmet for both you and pillion, it is mandated to have a pillion else you will be penalised with boredom. And also you have to wear a helmet all the time, else you may be fined, cops over their in goa is very smart in finding people without helmet and documents. we rented the bike @300/day and for 5 days it was 1500 per bike and petrol of not more than 300 per bike. the cost comes down to 900 rupees per person at such cost you get every meter of entertainment. There are other options like Enfield/4×4/jeep, we did not opt any of these so no experience if you are going and are planning to try any of these, write it us your experience. Take this advice, to experience goa at is best, there is no other commute better than Bike. Now here lies the business secret for the locals of Goa, you must be thinking what? You must never forget to keep the tanker-full of your bike in case you are travelling distant. This doesn’t mean that you won’t get petrol if you run out of it, but you may have to pay a huge price to get one litre of petrol, as petrol is easily available at any shop. Few more Clicks of Candolim Beach from Aguanga Fort.